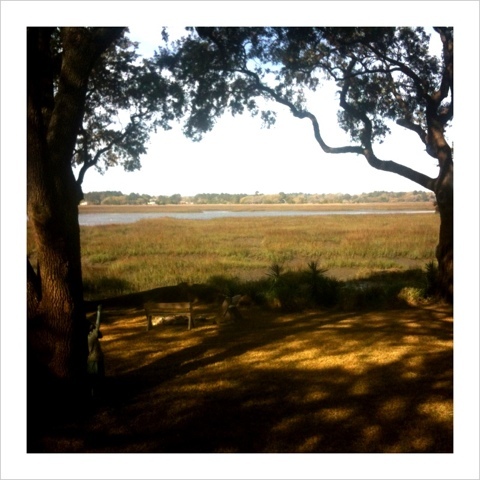 We have just returned from Beaufort, SC, home of author Pat Conroy. He is one of my favorite authors because he writes wonderful characters. His are not among the books I read every year, but this year I picked up my copy of Beach Music and reread it. I did so because, after reading this book for the first time, I new I wanted to travel to this land of inlet rivers and salt marshes. I finished the book on the drive there. As we traveled around Beaufort County, I was able to imagine which real names matched up with the fictionally created towns Conroy described in the book. It got me thinking that maybe I should try to match my son's books, every once in a while, to the places we plan to visit. As an example, I could have him read Turtle in Paradise if we were headed to Key West, Little House on The Prairie if we were going to drive through the Midwest, or Wright 3 if we were flying to Chicago for the weekend. For that matter, I could just suggest a book in an interesting place. I've always advocated reading as a form of imaginary travel. As a matter of fact, I take my cue in this way of thinking from Isak Denisen. In her book Out of Africa, Denisen asks Karen, after she finishes telling him a story, "Had you been to all of those places?" She responds, "Until now, I have only been a mental traveler." So, whether or not you have plans to travel this spring or summer, consider helping your kids along with a book about a particular locale. If you know where you are headed, send me a note and I would be happy to suggest a book or two for your destination. If you are staying home, but want your kiddo to know more about a particular place, I would be happy to help out with that as well. So, here is to happy traveling, mental or otherwise. I am on vacation with my family, but will be back at it next week. Check out this view! I posted with my iPhone, so please forgive any errors. Thx! These days it seems like every newly published book for middle readers (4th-6th grade) I pick up is fantasy and in first person. I must admit, I long for the days of Ramona Quimby, from Beverely Cleary’s Ramona series and Peter Hatcher, of Judy Blume’s Fudge books. These wildly funny, realistic fiction novels shed light on the lives of young people in the way fantasy just can’t. The mishaps that bring on the laugher and the tears are the same stunts our children are up to, and I think, for a newly capable reader, easier to interpret and identify with. I recently read Surviving the Applewhites by Stephanie Tolan. It was published in 2003, after my time. And, my son is as obsessed as his peers with fantasy, so it never found its way to my house until now. I have to say it was a hoot. I can see why it won Newbery Honors and made its way onto the New York Times bestsellers list. We are first introduced to Jake Semple, a kid who has used up all his chances. He has been kicked out of every school his has ever attended. He was even blamed for burning one of them down. Because his parents are in jail, he recently moved to North Carolina to live with his grandfather for a fresh start, but in just a few short weeks is expelled from yet another school. As a last effort, Jake’s grandfather approaches the Appleswhites for help. The Applewhites are family of artist who has created an Academy in their home to educate the four children. They all work independently and pursue their own interests. Once they decide, in a family meeting, to take on Jake, he is paired with the third daughter, to learn the ropes. I must say, this story is not only funny, but has an inspirational theme: that we all have a gift, if only we can find the courage to employee it. 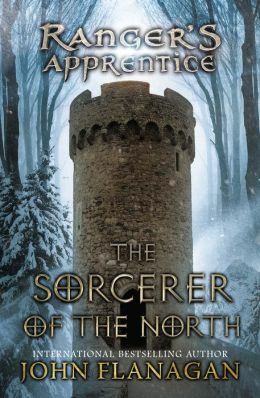 If you and your reader are looking for a break from fantasy, you should give this story a try. When I think back to my childhood, I can picture my box set of the Little House on the Prairie books by Laura Ingalls Wilder. The books were light yellow and paperback. They fit perfectly into a light yellow cardboard box, with only 5 sides, creating a mini bookshelf for the books. I didn't like all of the stories. The Long Winter and Little House on Plum Creek were my favorites. Over time, the spines bulged with overuse, making it nearly impossible to fit the entire collection into their bookshelf box. When my son started going to school, his primary Montessori teacher read Little House in the Big Woods to him and his classmates. He loved Pa, with his gun and his sense of adventure. I thought this would mark the beginning of our sharing the rest of the stories. So, continuing on the boy theme, I read Farmer Boy to him. He only thought it was fine. Not to be discouraged, I proceeded to the Long Winter, and he completely detested it. Sadly, I began to ponder how he would ever experience America's move into the wilderness. I tried a few of the other books on the theme, but finally moved on. In the first grade, he brought home a book I had never heard of, The Sign of the Beaver by Elizabeth George Speare. His reading assignment was to read it aloud to me for 30 minutes each night. As the story began, I met a father and his son, Matt, heading out into the wilderness to start a new life for the family. Yeah, I cheered inside, a trip to the west, at last. Matt and his father built a cabin for the family. Once it was complete, Matt's father equipped him with a gun and the other necessary supplies for survival, so he could guard the new home while he traveled back East to get Matt's mother and sister. Now Matt was only thirteen, but if you've read much about the migration West, this was old enough to entrust with such a task. In short order, a man ambushes Matt in his home and steals his gun. Matt is left with no protection and no simple way to hunt for food. Understanding that it would be some time before his family would return, if they returned, Matt began to create a system for survival. I have to tell you it is slow going until he meets a Native American boy named Attean from the Beaver Clan. With Attean's help, Matt survives life and its adventures in the West. They become close friends and Matt is increasingly able to care for himself while he awaits his family. You and your reader will need to read it yourself to find out whether or not Matt's family makes their way back to the cabin and what happens to the unlikely friendship between Matt and Attean. If you are thinking of this as an independent read for your child, they should be quite capable readers. It is suggested for children 10-14. If, on the other hand, you plan on reading it with her, get started when ever the themes fit your reader's interest. March book clubs began today. Right now we are all reading whatever book we choose and talking about different parts of the book. For the most part, when you talk with a youngster about a book they stick to the plot. First the boy did this and then and then and then, etc. I have to admit it can make for some rather dry discussions. So, March is dedicated to character. Today, I started the conversation by asking, "What character would you like to be friends with?" At first the children thought they should choose the main character. I assured them I often found characters other than the protagonist to be more intriguing For instance, the people in the Harry Potter series I would want to be friends with are Mrs. Weasley, Professor Lupin and Sirus Black. To help get the conversation moving along, I asked them who they would want to hang out with at Hogwarts. Most of the kids said either Ron, Harry or Hermione, but two of my best readers surprised me. Max said, "Voldemort, I wish he could be my professor at Hogwarts and I would try to turn him around." James said, "Dumbledore and Hagrid." When I asked James why, he said Dumbledore would be able to teach him anything that he wanted to learn and that Hagrid was loyal and kind. Amazing! With this wisdom in our mist, we moved onto the books the kids read this month. Max is reading Throne of Fire and said he would be friends with Carter. When pressed for a reason why he said, "Carter is crazy adventurous and he sees the world differently than everyone else, since he is the son of a god. It would be cool to compare notes." James is reading one of the Ranger's Apprentice novels and would befriend Will, the main character of the series, if he had the chance. Will is a small, careful and smart young man, not unlike James himself. James said he would want to be friends with Will because of "the things we have in common and because of the ways we are different. I like the way he is always sneaking around." You might want to try finding out what fictional characters would be in your readers gang. I am sure you will be surprised by who. And if not, you will not believe why.